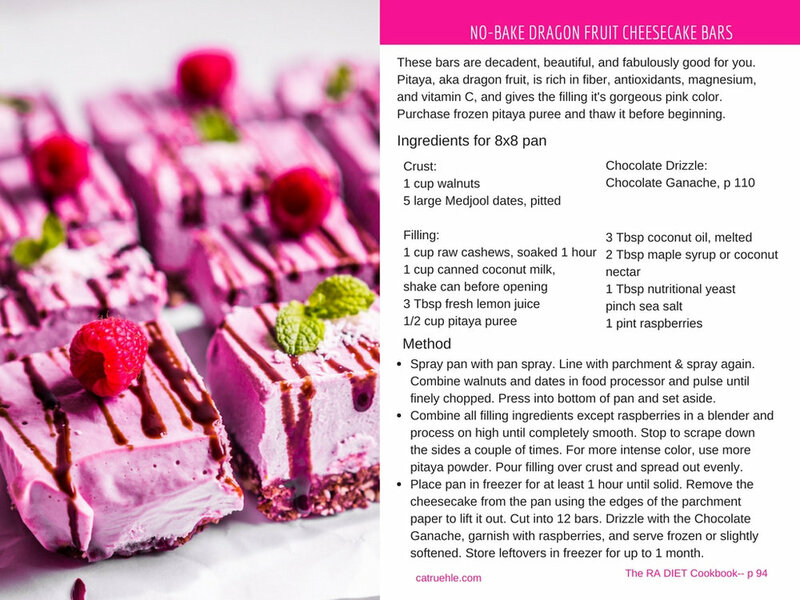 The ultimate resource for RA-Friendly recipes from renowned chef, Holistic Nutritionist, RA Warrior, and best-selling author of Let Us All Eat Cake, Cat Ruehle. Over 100 of Cat's favorite nutrient-dense wellness recipes, all free of the common RA trigger foods- gluten, dairy, nightshades, corn, sugar, alcohol, soy, grains and eggs. 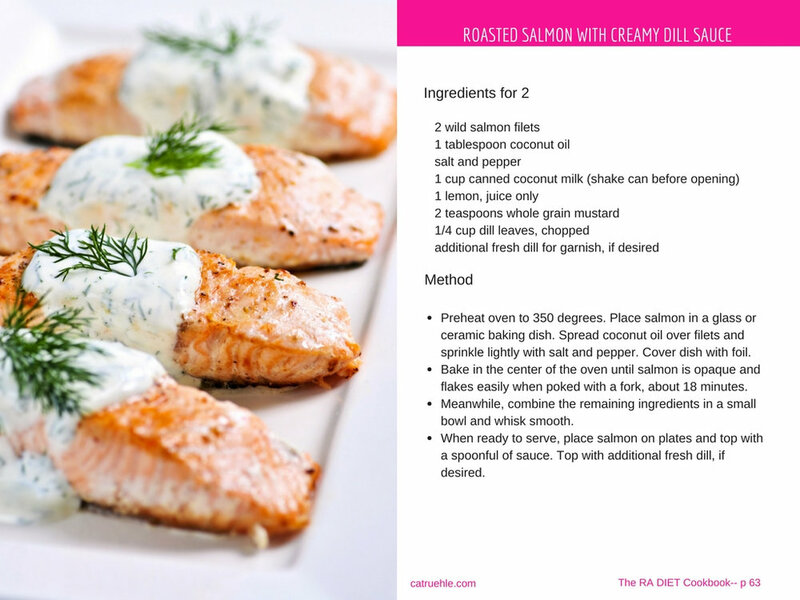 Chapters include Wellness Boosting Beverages, Morning Fuel, Fresh From the Farm & Sea, Guilt-Free Sweets & Treats, and MORE! 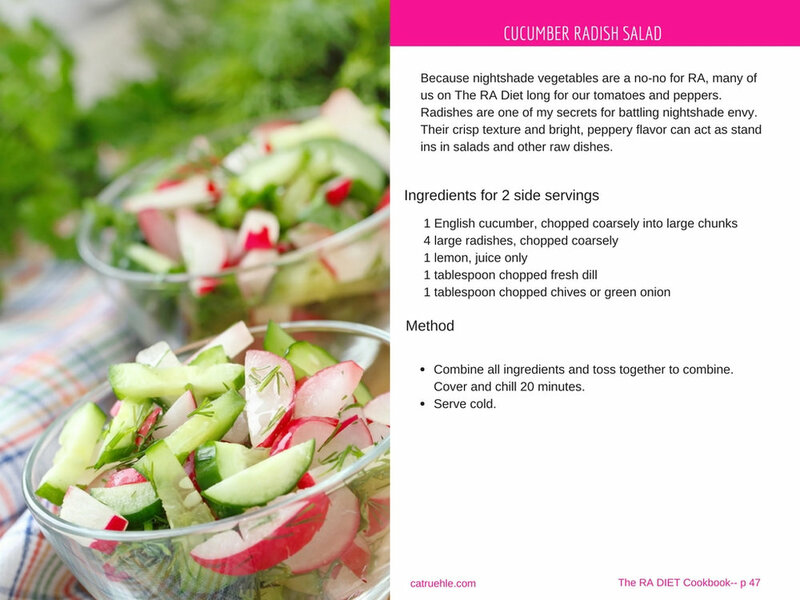 The RA DIET Cookbook is a downloadable pdf ebook that you can read on your tablet, computer, or iphone... It's available to you when you want it, where you want it. And if you prefer to print it out at home, you can, it's formatted to fit standard 8.5 by 11 paper. Easy!